Note: An additional figure was inserted in the electronic version. Therefore page numbers beyond page 450 in this version are greater by 2 than in the printed volume. In 2004, 2005, and 2006, the US National Virtual Observatory development project presented Summer Schools in Aspen, Colorado. During these week-long programs, presentations and tutorials were presented on all aspects of the Virtual Observatory. The goal was to expose astronomers and astronomical software developers to tools that can streamline astronomical data access and discovery so that they might apply these tools to current research problems. This volume is a collection of the Summer School lectures and tutorials. It includes a complete set of software libraries and worked examples to guide the astronomer/software developer through the process of developing VO-enabled programs in a variety of programming languages and scripting environments. It is an essential guide for those interested in combining data from diverse and distributed astronomical data collections, for accessing large astronomical survey databases, and for making available to the research community one's own data collections and catalogs. 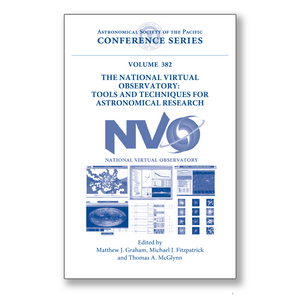 In addition, the introductory material describes the origin of the Virtual Observatory and its potential role in astronomical research. Several chapters that describe results obtained by participants in the NVO Summer Schools using VO tools and technologies are also included. This book is suitable for astronomers and students of astronomy at the undergraduate and graduate level who have an interest in using computers and the Internet to optimize and extend their research. It would also be of interest to researcher and software professionals working in related fields where access to distributed data collections is becoming essential.